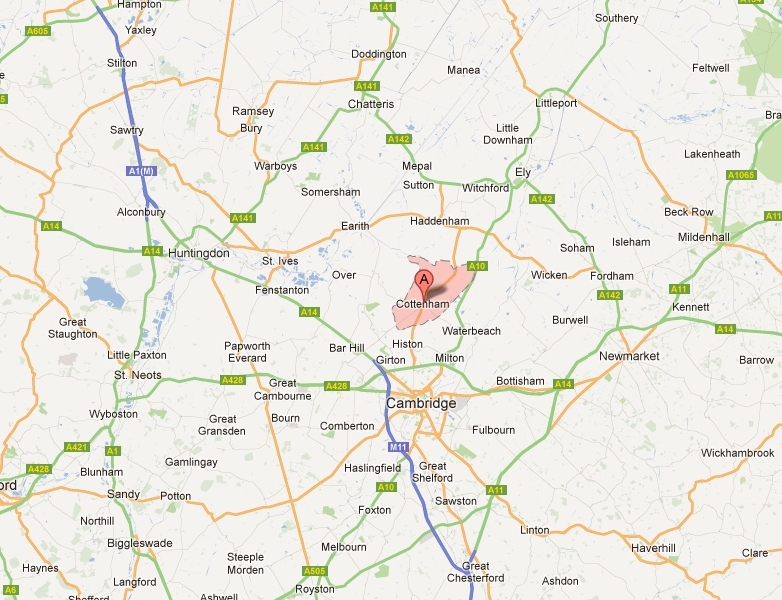 Our home pitch is at Cottenham Village College, High Street, Cottenham, Cambridge CB24 8UA. 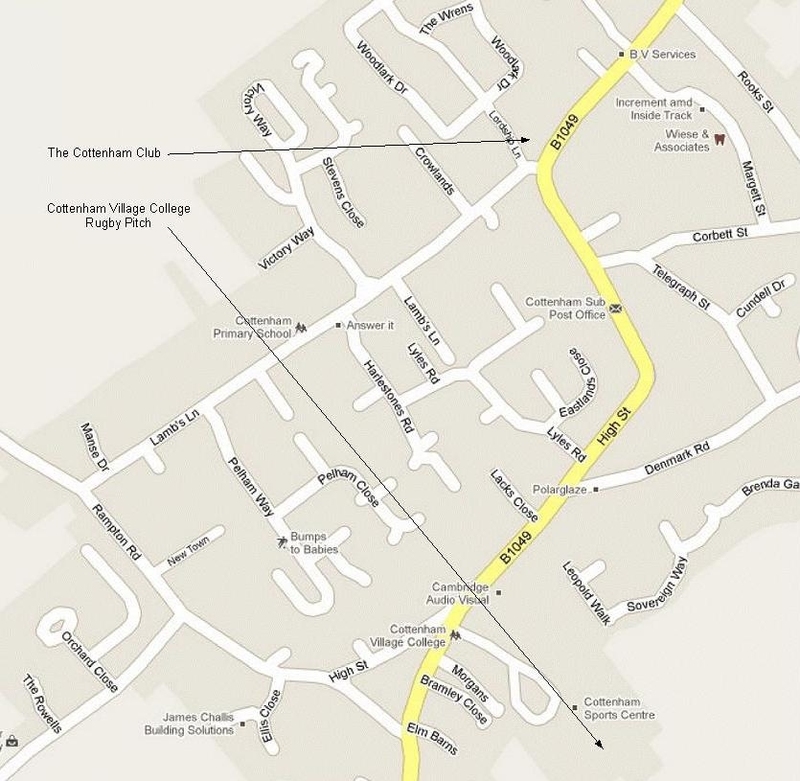 Post-game hospitality happens at the Cottenham Club, 198 High Street, Cottenham, CB24 8RX. Both locations are shown on the map below. Note: both are off the main B1049 road which runs through Cottenham. We look forward to seeing you.